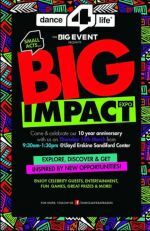 Dance4Life presents its 4th biennial Big Event entitled The Small Acts Big Impact Expo. The event also celebrates Dance4Life's 10th anniversary. 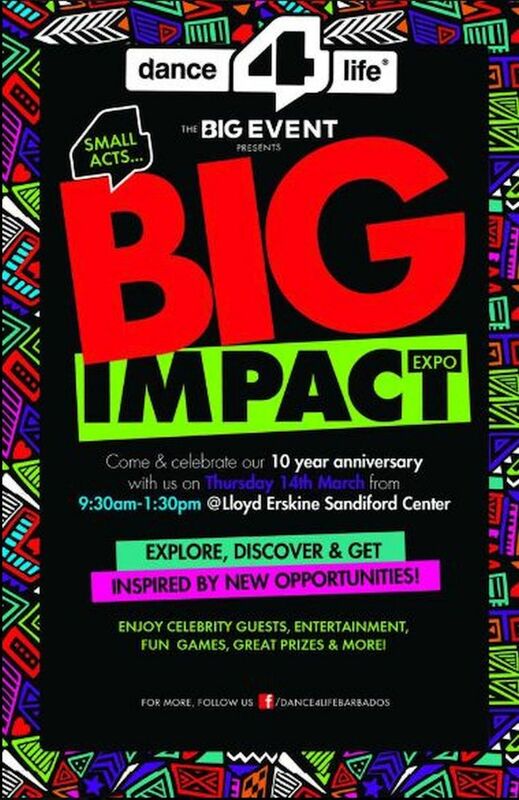 This is a free educational expo where local guests will be invited to inspire young people that there are many opportunities beyond the already familiar, and to help them find their place in Barbados. The goal is to promote advocacy and inspire all of our students to be empowered to make changes not only in their lives, but also in the lives of those around them. The TerraMar Project, Sustainable Caribbean and Oceanic Global will be sharing their initiatives to inspire young minds to join the fight for ocean conservation. Enjoy celebrity guests, entertainment, fun games, great prizes and more!